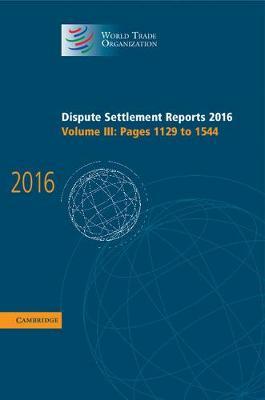 The Dispute Settlement Reports are the WTO authorized and paginated reports in English. An essential addition to the library of all practicing and academic trade lawyers and needed by students worldwide taking courses in international economic or trade law. DSR 2016: Volume 3 reports on Colombia - Measures Relating to the Importation of Textiles, Apparel and Footwear (WT/DS461).